Description: This is one of the 221K4 series made in the UK and relatively rare here in the US. This model has the light switch up on the lamp cover as seen on the 222 Freearm models. And of course it has the Red S badge. This machine is a solid 7+ condition, with some scratches on the bed and handwheel bringing it down slightly from a 8 condition. The carrying case is the original Singer UK-style case with the accessory side tray. Included with the machine are the original Singer bobbin case, some accessories, 5 bobbins, and a reprinted manual. 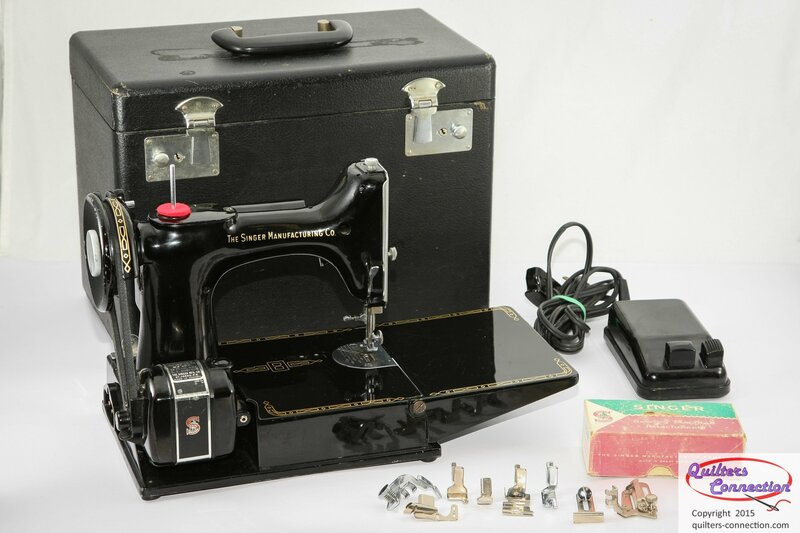 This is a stunning, unique Featherweight that has been serviced and is ready to sew.